A two handled, Victorian steel herb or vegetable chopper. The steel blade is marked 'JOHN BLYDE SHEFFIELD' and it also bears their mark which is an engraved planet with rings around it above the word 'GENIUS'. The [piece dates from c.1890. 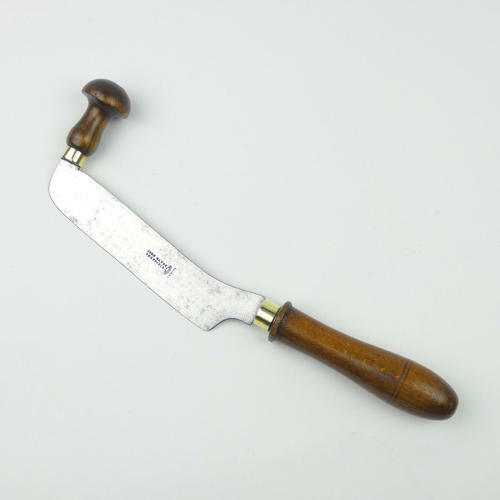 The handles are turned from oak and there are brass collars attaching them to the blade. There is very slight pitting to the steel, from use, but other than that the piece is in very good condition and the blade is still sharp.